Technically, the crypto market is trying to finally stop correcting and start making new highs. This upward move may be the last one before another midterm downtrend. On H4, BTC is still rising in the midterm. The current trend looks stable, if not very much strong. After reaching the resistance, the price formed a correction triangle. 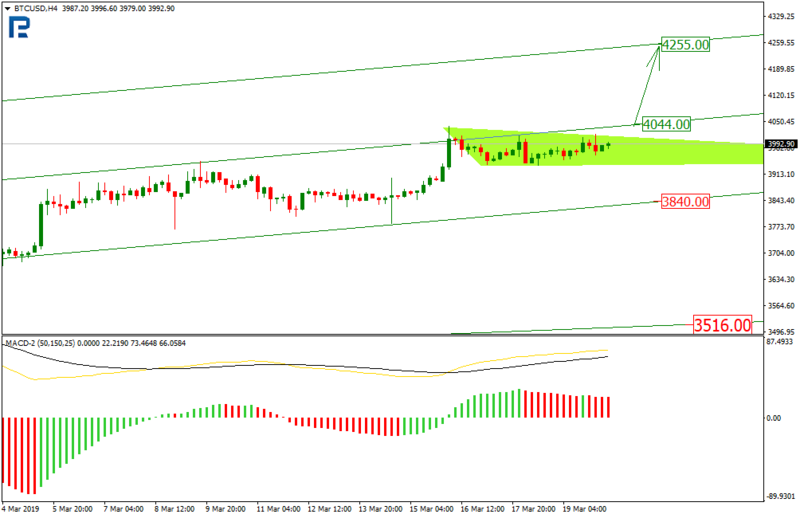 Next, it may hit the resistance area near $4,044 and reach the projection resistance at $4,255. The MACD is headed up, which confirms the ascending trend scenario. The local support is meanwhile at $3,840, and in case it gets broken out, the price may reach the midterm one at $3,516. 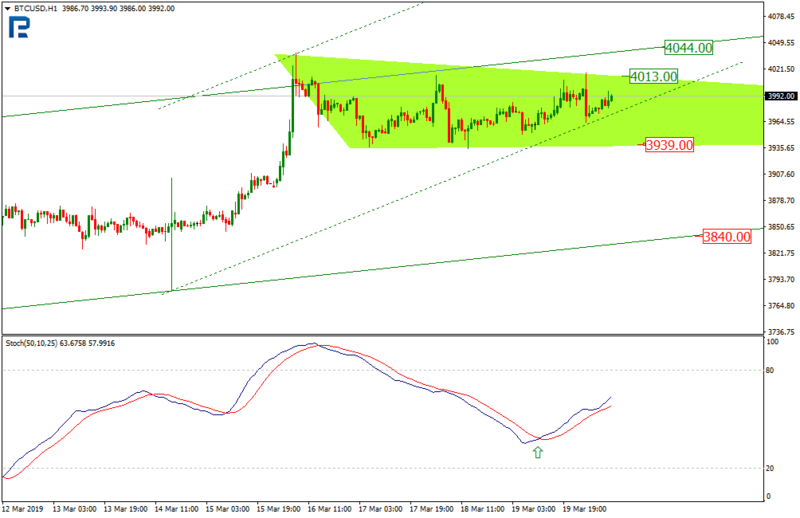 On H1, the Stochastic formed a golden cross, which may send the price to the local resistance at $4,013. This ascending channel’s support is at $3,939. Over the last week, EOS managed to break out the internal resistance, still failing to make higher highs, though. 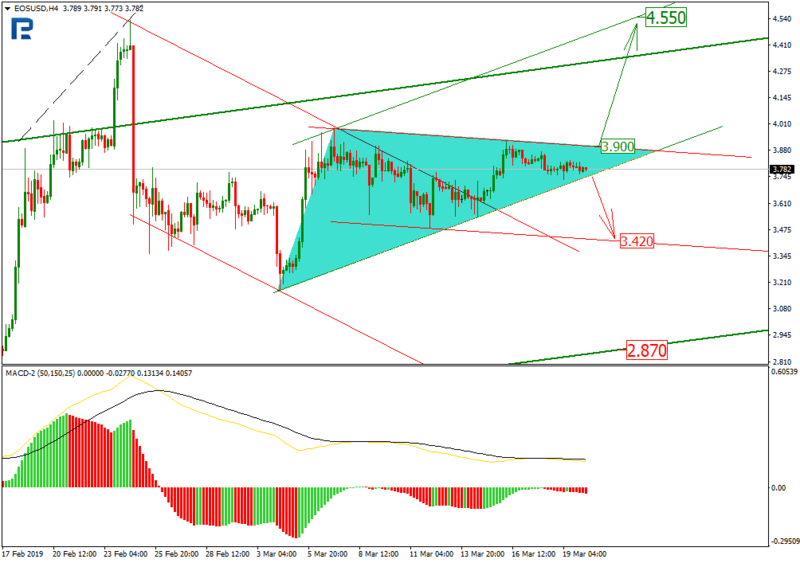 On H4, the crypto is forming an ascending triangle, while the MACD is headed down and may send the price below the local support, to $3.42, with the major support still at $2.87. In the midterm, the trend is ascending, and this means the price may break out the local resistance at $3.90, which will push EOS to the important highs near $4.55. 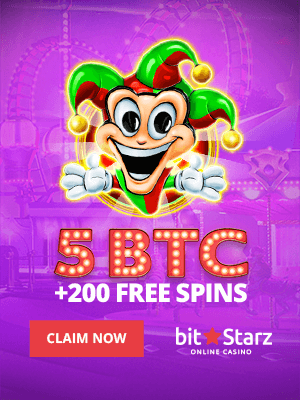 On H1, the crypto is declining locally, heading towards the support at $3.75 and perhaps $3.68. The Stochastic is meanwhile headed up, which makes the $3.81 resistance breakout also possible, sending the price higher to test $3.90. On H4, Eth tested the midterm ascending channel support quite successfully and is now trying to rise. In the short term, the crypto is down and may soon test the support at $133.13. This may be followed with a bounce and another rise to $150. If the price manages to go above, an uptrend may head to the current highs. The MACD is confirming this scenario, being headed up. The major support is meanwhile at $118.50. On H1, Eth is moving along a descending channel. The Stochastic, however, has formed a golden cross, which signals a possible reversal. The price is currently just trying to bounce off the support area. In case the short term resistance at $138.40 gets broken out, it may hit the projection one at $142.65. On H4, LTC looks stable inside an ascending channel. The MACD, however, has formed a black cross after diverging, which is a strong reversal signal. The price is currently testing the local support, and in case it’s broken out, the next target will be at $52.65, which may then send it to the projection support at $40.70. 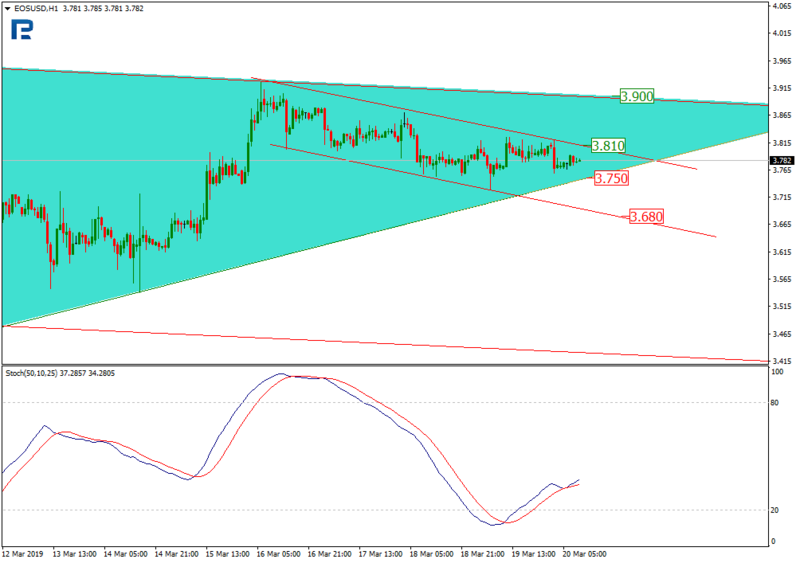 On H1, Litecoin is ready to take another downmove after leaving the consolidation channel. 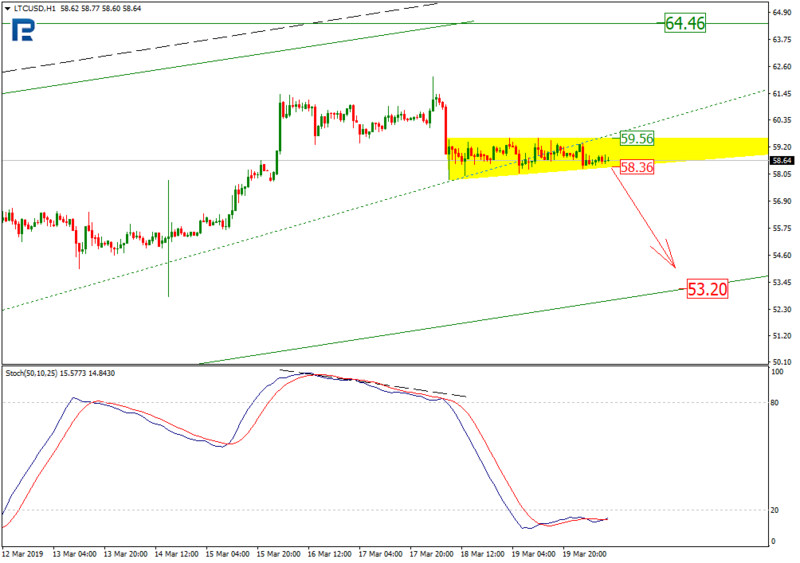 This thus confirms the reversal scenario, with the $58.36 support breakout likely to send the price to $53.20. Conversely, if the local resistance at $59.56 gets hit, LTC may get pushed to another resistance at $64.46. On H4, XRP is still moving along a triangle, trying to test the midterm ascending channel support. 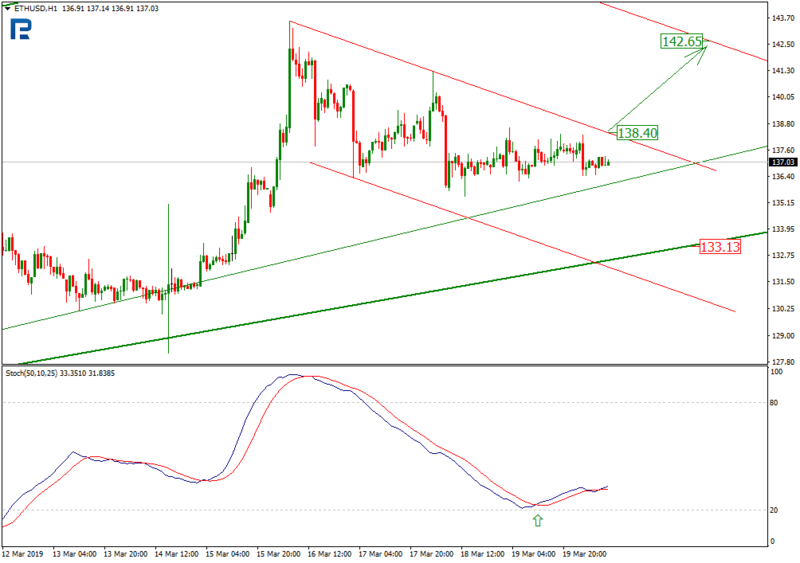 The MACD is entering the positive territory, which may signal that the price is ready to break out the current resistance and rise to $0.3500, and then $0.3630. 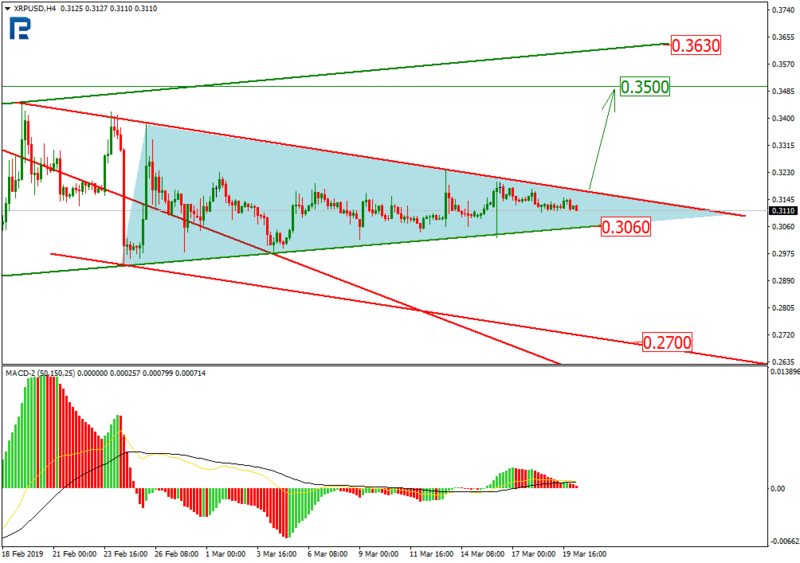 Conversely, if the support at $0.3060 gets broken out, the price may be sent to $0.2700. 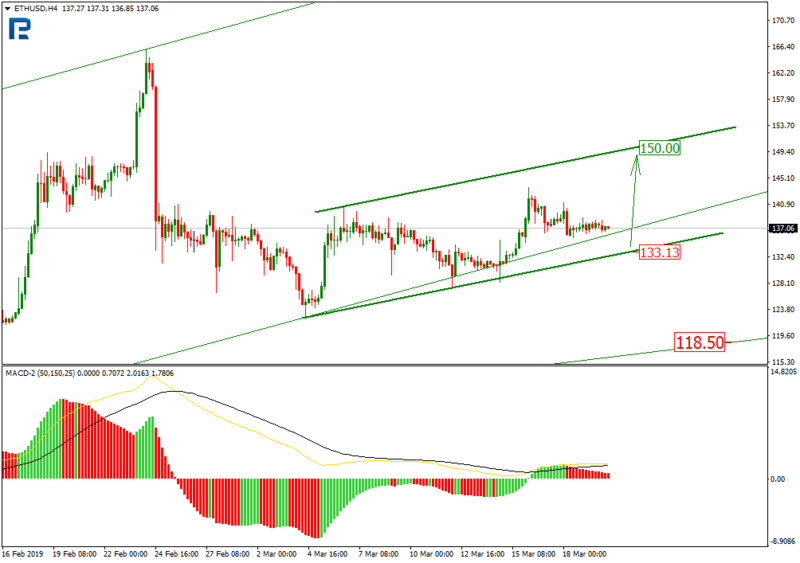 On H1, XRP is moving along a local descending channel, with a possible target at the support near $0.3060. This may be confirmed with the Stochastic forming a black cross. 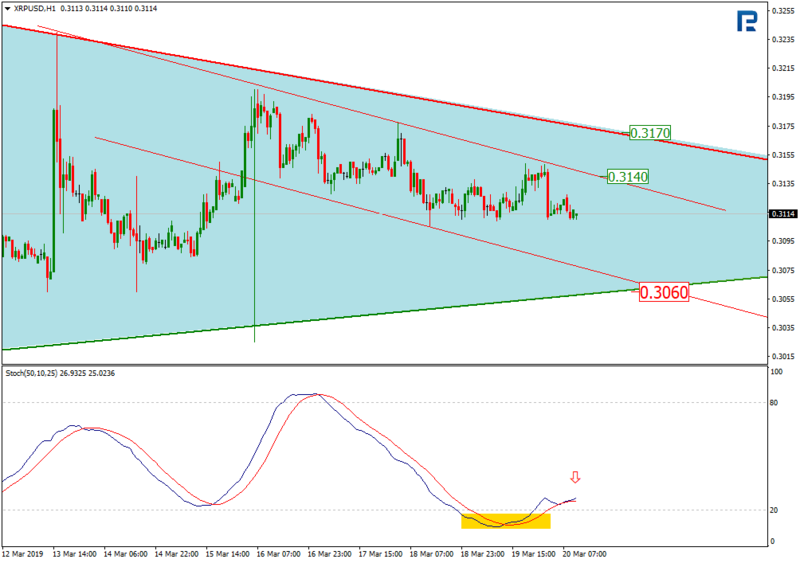 In the short term, the price may also get to the resistance at $0.3140 and test it.